Also known as the Eternal Capital, the history of Rome is presented in the form of ancient fountains, earliest places of worship, Renaissance palazzos and classical ruins. Some of the must-sees in the Eternal Capital include the Vatican, the iconic Colosseum - a classical ruin and the 50 meters wide Trevi Fountain. Given the wide range of attractions, one of the biggest challenges you will face when visiting this ancient city is deciding how to take in as much as time limitations allow. Fortunately, arranged tours provide a great way to reach a good balance. In this article, we feature the most popular tour in Rome as well as two others which make up the top three Rome tours. ▸	Get up to 20% off selected hotels in Rome! Panoramic view of Vatican City in Rome, Italy. This is one of the most popular tours you should undertake at least once in your lifetime. You don't have to be a roman catholic to appreciate the amazing art in this museum of museums. This tour offers the perfect way to see the highlights of the Vatican without needing to spend hours in the museums. With faster than skipping the line priority tickets, you will not have to worry about queuing in the roasting sun. You will also get a chance to visit an otherwise sold-out attraction with hassle-free mobile tickets, which will allow you immediate access to these iconic attractions. The Vatican Museums are a treasure trove of Renaissance art. They feature one of the largest collections of art in the world, including stunning classical sculptures, the spiral staircase, Raphael Rooms, and Renaissance masterpieces. Your tour guide will take you through the Raphael Rooms, The Gallery of Maps, The Tapestry Gallery, the Gallery of Candelabra among other equally impressive rooms. 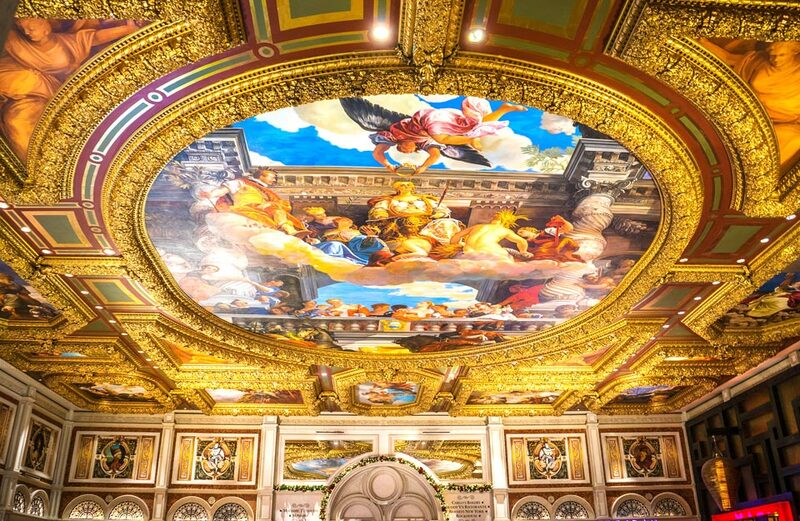 This Chapel is entirely decorated with breathtaking Renaissance frescos art, including Michelangelo's murals and immortal works like The Last Judgement on the altar wall and the Ceiling Fresco. Today, this chapel holds the Papal conclave. This is the largest ancient basilica and the holiest site for Roman Catholics. It was built where Peter, the apostle, who, is also considered the first Pope of the Roman Catholic Church was buried. This magnificent temple is where the Pope delivers his sermons. One of the many amazing Sistine Chapel ceiling paintings. This tour gives you the rare chance to skip the long queues at the entrance using a special entrance which bypasses even the fastest track lines. This half-day walking tour lets you skip the main entrance queue, so you don't waste any precious time getting in to wonder at this Roman icon. On this tour, visitors get to explore the first and second levels of the amphitheater with an expert guide who will enchant you with narratives of grim gladiator battles. After that, you will visit the famous Forum where you will see the ruins of ancient buildings like the Temple of Julius Caesar. Visitors, led by their professional guide, will skip the line and go straight to their tour. Their tour guide will help them explore the most important sites of Ancient Rome, including the Colosseum, Palatine Hill, Roman Forum, and the Arch of Constantine. They will also enjoy a full introduction to the culture, art, and traditions of the Ancient Romans. This is a fascinating insight into the amphitheater's gruesome past. 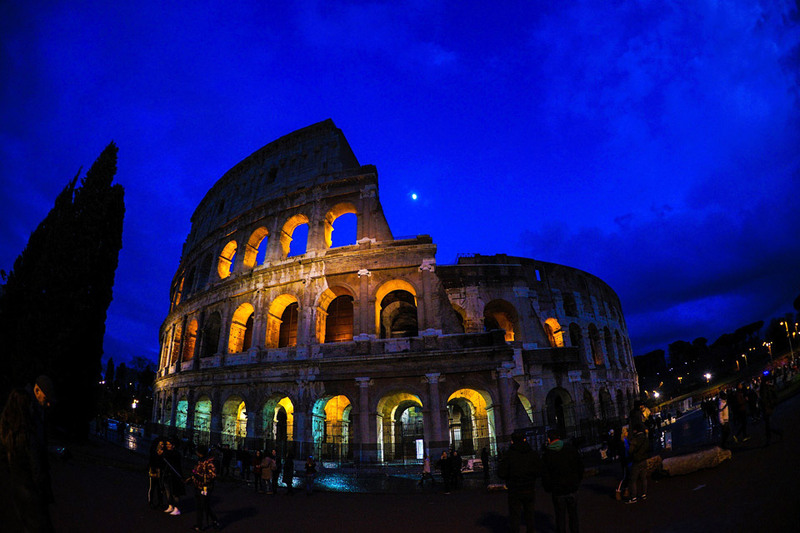 This tour is popular among tourists as it provides them with a chance to get the true Colosseum experience without having to wait in line to explore. The Colosseum Underground tour involves meticulous research, detailed planning, and a passion providing the visitors with travel experiences they will live to tell about. 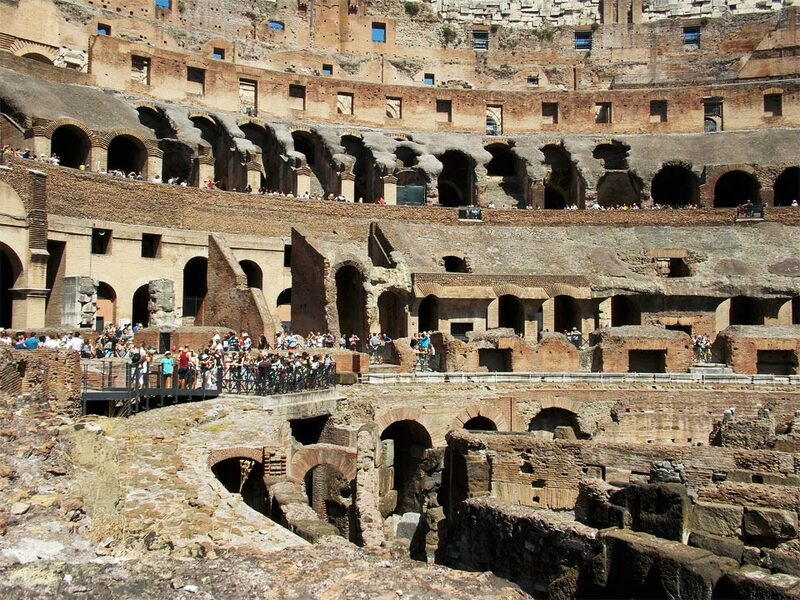 This tour lets visitors experience the historic Colosseum underground icon to the fullest. It gives them access to areas that are typically closed to the general public, including the arena floor and the underground chambers. After skipping the main entrance line, the expert guides will take you through the Colosseum to explore and listen to stories about life in ancient Rome. You will get a rare chance to walk through the tunnels and stand where gladiators stood, all while enjoying a panoramic view. After that, you will be taken to visit the Palatine Hill, where Romulus chose to fund the city that would become Rome in 753 BC. However, this decision ended in tragedy for his brother Remus. According to legend, this is where Remus and Romulus were found by the she-wolf and where they battled to decide who would have the privilege of building their own town. While here, you will also get to enjoy the spectacular Forum and the Via Sacra, where the heart of ancient Rome is. All of Rome life can be traced back to this bustling marketplace where commerce, trade, political rallies, sacred ceremonies, and military parades took place. This is where you will complete your tour of Rome's ancient sites. This tour gives visitors the rare chance of secure access to the underground chambers and the legendary arena floor. A view of the Colosseum arena in Rome. These tours give you a chance to explore and experience the history, art, and culture that surround Rome. Have you ever visited the Vatican, Sistine Chapel or St. Peter's Basilica in Rome? Let us know what you thought about these attractions.